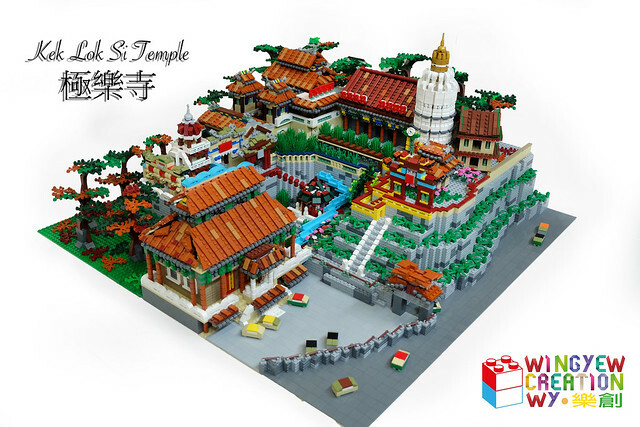 Welcome to Kek Lok Si temple in Malaysia, courtesy of builder WingYew. This is an interesting scale of build, as you can see by the cars, it's not really micro scale, it's more on scale with the Tower Bridge set (although those are one stud longer). Which leads me to think we should coin a new term, "monument scale". What do you think?